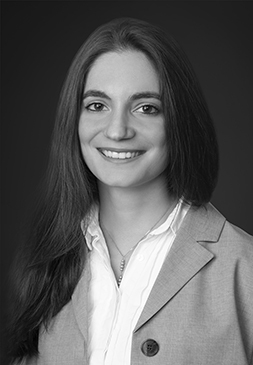 Mariam Arutyunyan is a Senior Associate at the European Competition Practice of Charles River Associates. Since joining CRA in 2017, she has advised on mergers, cartel damages and abuse of dominance cases before the European Commission, the UK Competition and Markets Authority as well as other national competition authorities. Her work spanned a variety of industries, including retail, mobility, marine engineering and metal recycling. She wrote her Master’s thesis titled “European Cartel Enforcement: Evidence from the Stock Market”, in which she analysed the effect of changes in EU antitrust fines on members of investigated as well as undetected cartels. Prior to joining CRA, she interned in the Risk Management department of MMC Norilsk Nickel – one of the world’s largest producers of nickel and palladium. Her working languages are English, Russian and Armenian.